Social butterfly Isa usually plays with her much larger sister, so she delights in having another baby around. Someone her size for a change! 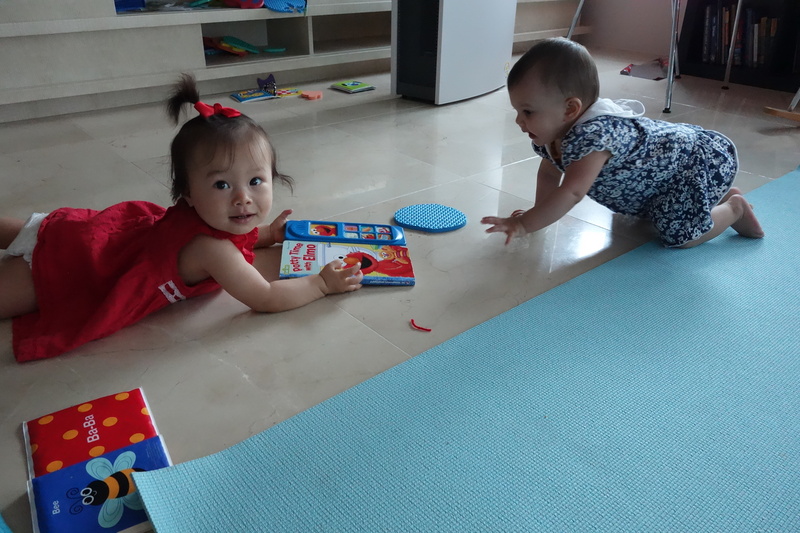 Isa hosted Baby Noor over to play while their siblings played together in the other room. 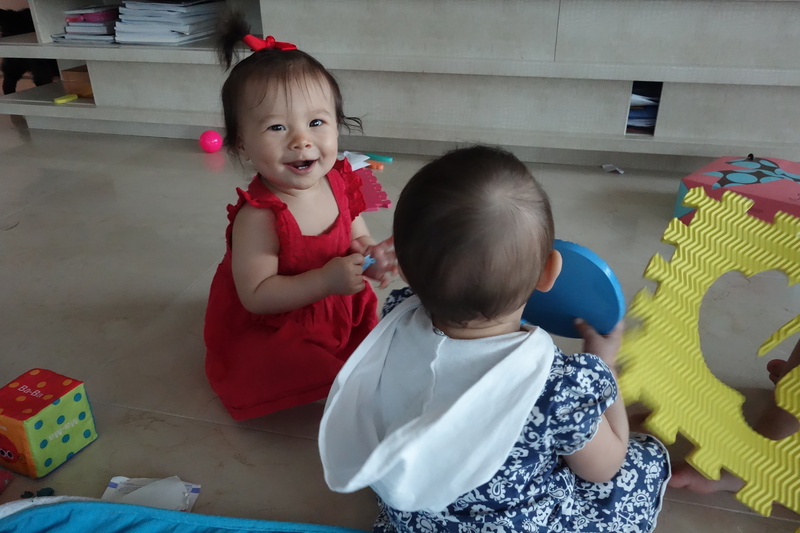 Isa might be even more social than her older sister, who adapts to new people and makes new friends easily. Isa LIGHTS UP when she sees other faces. Out of the two of them, it’s possible Isa is the extroverted one. Her baby personality is super flirty. Isa and Noor went after the same toys all afternoon.